Sure, you know your ABCs. A stands for apple, L stands for lion and Z stands for zoo, right? 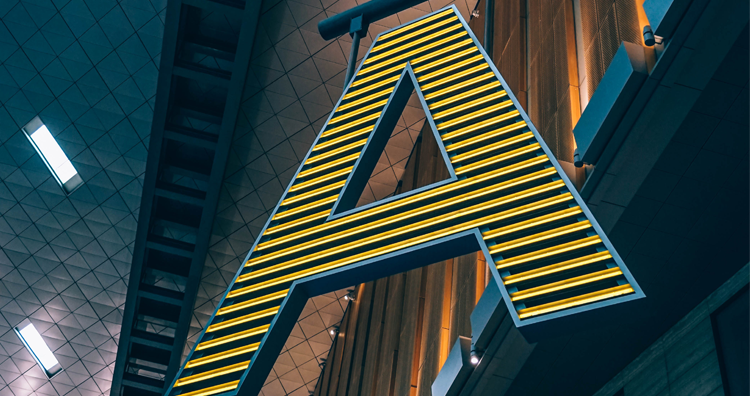 But do you know your ABCs of Ann Arbor? Today, we’re swapping apple for Ann Arbor Art Center, lion for Literati Bookstore, and zoo for Zingerman’s. Keep reading to get a peek into Ann Arbor’s best local businesses, landmarks, parks, attractions and characteristics. And don’t forget to practice your ABCs! 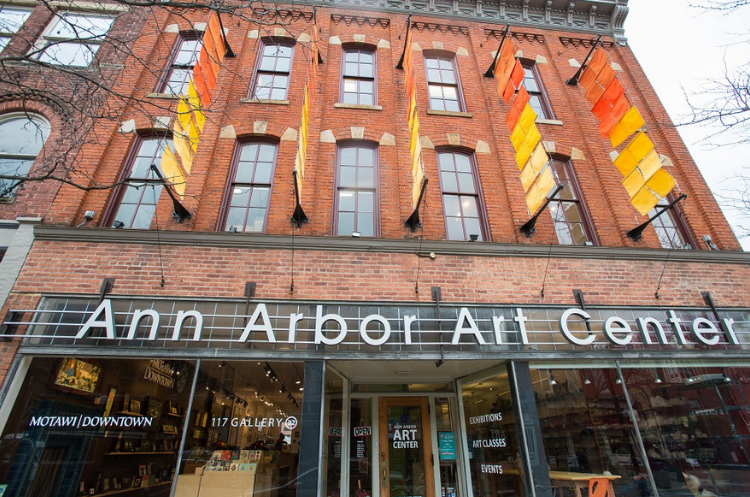 Since 1909, the Ann Arbor Art Center has served as a contemporary forum for the visual arts through education, exploration, collaboration and exhibition, and they strive to engage minds, expand perspectives, and inspire growth in students of all ages, teachers, artists and the community. Now, they engage more than 49,500 people every year through programming, exhibitions, fun classes and the 117 Gallery Shop. Blank Slate Creamery is a local ice cream shop churning out homemade ice cream using fresh, all-natural ingredients. This little shop has even won numerous rankings as the top ice cream in Ann Arbor and throughout the state of Michigan! This nonprofit organization hosts camps, classes, private events and programs that inspire compassionate connections to wildlife and allow the public to learn about ecology, biology, conservation and more through real animal encounters. 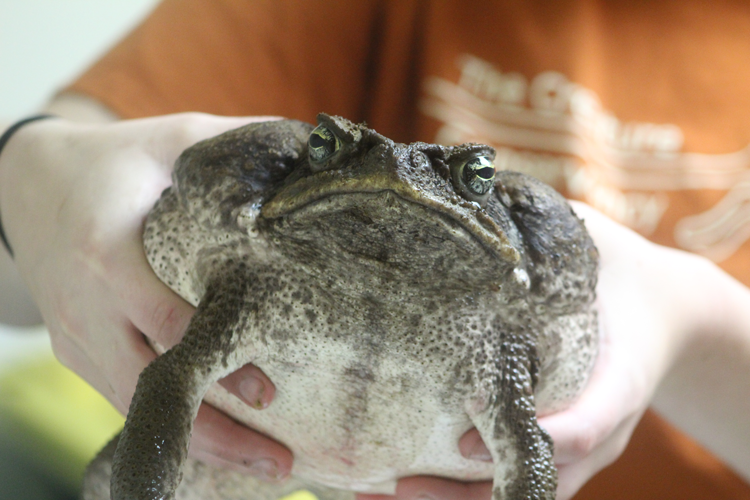 In addition to offering these programs, they serve as a home for Al the alligator, Quinn the bald eagle, Jerome the Argentine Tegu, Harper the cougar, Bedhead the porcupine and several other rescue and transplant animals. Detroit Street Filling Station comes to us from the team behind The Lunch Room, and every eatery and bakery run by this team serves food that is entirely plant-based. That’s why both The Lunch Room and Detroit Street Filling Station landed on The 15 Best Vegan + Vegetarian-friendly Restaurants in Ann Arbor. This particular restaurant is housed in the historic building that was once The Staebler Family Oil Company so it offers plant-based eats with a side of history (and a great patio!). The Earle has been a downtown Ann Arbor favorite for more than 20 years. In addition to the decadent menu of French and Italian country cuisine, the romance is heightened by live jazz five nights a week, solo piano and solo guitar performances. Their world-class wine selection has over 1,200 options and wraps the evening up perfectly! One of the community’s favorite annual events, FoolMoon is the nighttime kick-off event to an entire weekend of foolishness and revelry. Hosted by Wonderfool Productions, the event celebrates the coming of spring with dance, laughter and handmade luminaries, interactive installations, laser shows, live music performances, and other entertainment. And FoolMoon is followed by FestiFools, the annual, daytime event of foolishness and art. This enormous public art spectacular showcases hundreds of colorful, bizarre, human-powered paper-mâché puppets made by members of the community and U of M students. One of the highlights of Ann Arbor is the Huron River, and one of the best places to see the river is on top of it! Gallup Park Canoe Livery in Gallup Park offers canoe, two-person kayak, one-person kayak, kid kayak, paddle boat and rowboat rentals, plus concessions, merchandise and river-themed programs. And the park itself offers 69 acres of open space for play, recreation, picnicking and more. Highlighted in 18 Things to Do with Kids in Ann Arbor, the Ann Arbor Hands-on Museum is home to countless interactive exhibits where children and adults can get hands-on and discover their inner scientist. Visiting the museum any day of the week means you can explore exhibits like Michigan Nature, Lyons Country Store, MediaWorks, and DTE Energy Foundation Light and Optics. 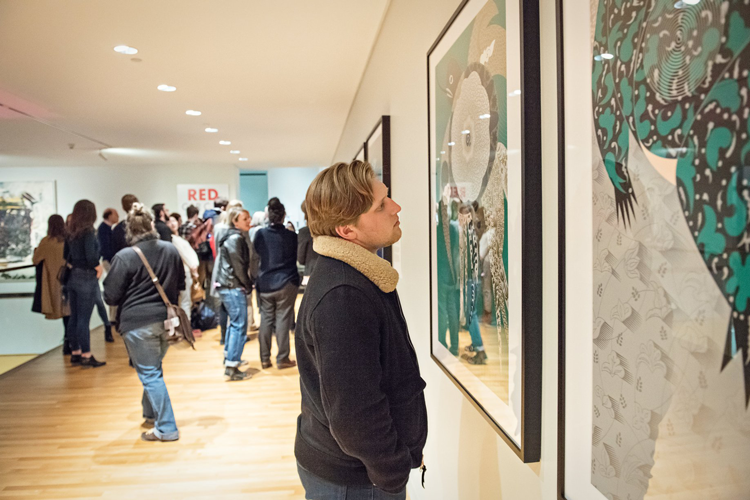 Ann Arbor loves art, creativity, discovering new things and supporting new local businesses, which makes it the perfect headquarters of innovation. In fact, our hometown institution, The University of Michigan, was ranked on Reuters Top 100: The World’s Most Innovative Universities 2018 and the city of Ann Arbor was ranked on the Livability 2017 Best Cities For Entrepreneurs! The Jim Toy Community Center is a resource center that exists to provide information, education, social events and advocacy by and for the queer and ally community in our county. In addition to providing resources and awareness, they help foster an inclusive community here in Ann Arbor and host Ann Arbor Pride every summer. Kerrytown is a charming market district located just a few blocks from the heart of downtown Ann Arbor. Here, you’ll find the year-round Ann Arbor Farmers’ Market, other annual events like Kerrytown KindleFest, beloved restaurants like Miss Kim and The Lunch Room, as well as local shops 16 Hands, Ann Arbor Spice Merchants, Spun and more. 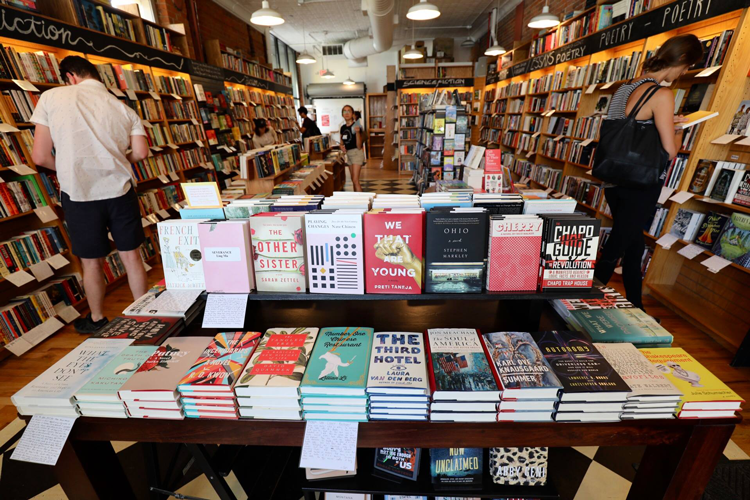 Literati Bookstore is a locally owned and operated book-lovers’ haven in downtown Ann Arbor. On the store’s lower level, you’ll find the bookstore and the team’s famous public typewriter which invites anyone and everyone to type. Over the years, they’ve accumulated thousands of love notes, poems, sentences and salutations. Published in 2018, “Notes From A Public Typewriter” compiles some of their favorites alongside essays, photos and more. Stop by to shop local for books, type your own note on the Literati public typewriter, and head upstairs to visit Literati Coffee, a full-service coffee shop. Located on the university campus, the University of Michigan Museum of Art is one of the largest university art museums in the country. Their collections represent 150 years of art collecting and include everything from 1000 BCE Middle Eastern artifacts to 21st-century paintings. Admission to the museum is always free, which makes it one of our favorite budget-friendly attractions in town! To learn more, check out 14 Things to Do in Ann Arbor Under $20. Matthaei Botanical Gardens and Nichols Arboretum are two educational and environmental spaces on the UM campus. The botanical gardens include eleven outdoor areas full of bonsai, native and medicinal plants, perennials and more. And during colder months, you can enjoy the year-round indoor conservatory filled with plants from around the world. The arboretum spans miles of trails and land with impressive collections of both native and exotic trees and shrubs. 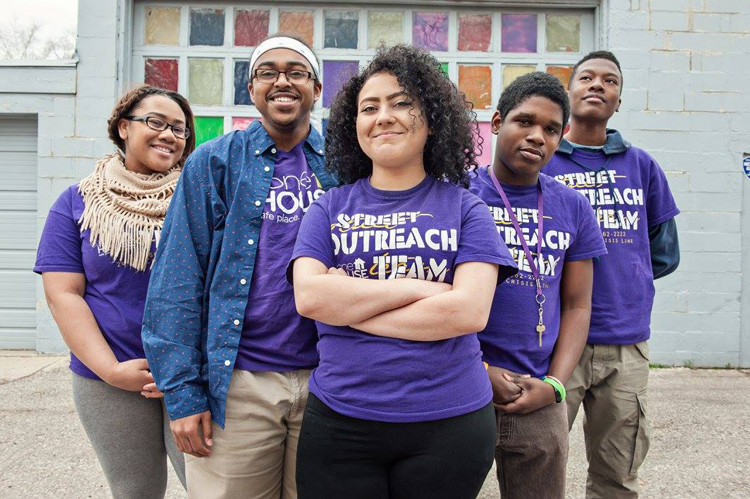 Based in the Ann Arbor area with facilities in both Ann Arbor and Ypsilanti, Ozone House is a community-based, nonprofit agency that helps young people lead safe, healthy and productive lives. They do this by offering high-quality housing and support programs, as well as services that provide support, intervention, training and assistance to runaway, homeless and high-risk youth and their families. To learn more about this and more organizations in the area, check out 23 Local Charities in the Ann Arbor Area and How You Can Help. Covering a whopping 11,000 acres, Pinckney State Recreation Area is one of our favorite outdoor destinations in the Ann Arbor area. Known for its extensive trail system and chain of excellent fishing lakes, the park also offers over forty miles of multi-use trails, picnicking, playgrounds, beaches, a concession stand, boat launches and rowboat, canoe, paddle boat and kayak rentals. To find more ways to opt outside in and around Ann Arbor, check out 8 Things to Do in the Ann Arbor Area for Outdoor Enthusiasts. Ann Arbor is consistently ranked on research and data-based lists of the best places to live in the United States. In 2018, our city ranked the number one city on the Livability Top 100 Best Places To Live. This list measures data points that cover economics, housing, amenities, infrastructure, demographics, social and civic capital, education and healthcare. Other rankings and lists include the 2018 National Geographic list The Best Cities in the United States, RewardExpert’s Best Mid-Sized Cities to Visit in 2017, the Livability 2018 10 Best Places to Raise a Family, the National Geographic ranking of the happiest cities in the United States, and Realtor.com’s 2018 ranking of the Cities Where Home Buyers Have the Least Amount of Debt. Rosie the Riveter is a cultural icon of World War II, representing the women who worked in factories and shipyards during the war. And many of those real Rosies worked in factories right here in the Ann Arbor area. To celebrate this, 3,755 people gathered at the Eastern Michigan University Convocation Center in Ypsilanti in 2017 to beat the Guinness World Record for the largest gathering of people dressed as Rosie the Riveter. And this Ypsi gathering had 58 original Rosies who worked in factories during WWII! In addition to celebrating history, this group gathered to support the Yankee Air Museum’s effort to save, preserve and renovate Rosie’s historic World War II-era factory: the Willow Run Bomber Plant located just minutes outside the heart of Ypsilanti. Paired with its sister venue, The Michigan Theater, the State Theater is an excellent representation of Ann Arbor’s proud history and passion for indie art. Today, the two historic theaters offer regular showings of indie movies, limited releases and special screenings as well as live music shows, performances and more. Every year, our Ann Arbor community hosts countless recreation and racing events to celebrate our community and our parks. The annual Ann Arbor Triathlon is the culmination of all of this and happens every year near the end of the summer. Beginning at Halfmoon Lake in Pinckney State Recreation Area, racers swim the waters of Halfmoon, bike the country roads of the surrounding rural area, and run the 5-mile classic Poto Trail course to complete the challenge. You can get more information here. The University of Michigan is continually ranked amongst the best universities in the nation, and, in the US News & World Report 2019 ranking of the best national universities, it makes the top 30. Boasting a total undergraduate enrollment of just under 30,000, UM offers students more than 1,500 organizations, more than 60 Greek chapters, and an impressive lineup of athletics for both athletes and fans. It’s also our number one reason in 10 Reasons Ann Arbor is the Best College Town in America. Owned and operated by the Jonna family, this neighborhood wine bar, dinner destination and event venue boasts a chic atmosphere, 150 wines and a New American menu. Their team has more than 40 years of experience in the food and wine business and offers everything from weekend brunch to wedding services. 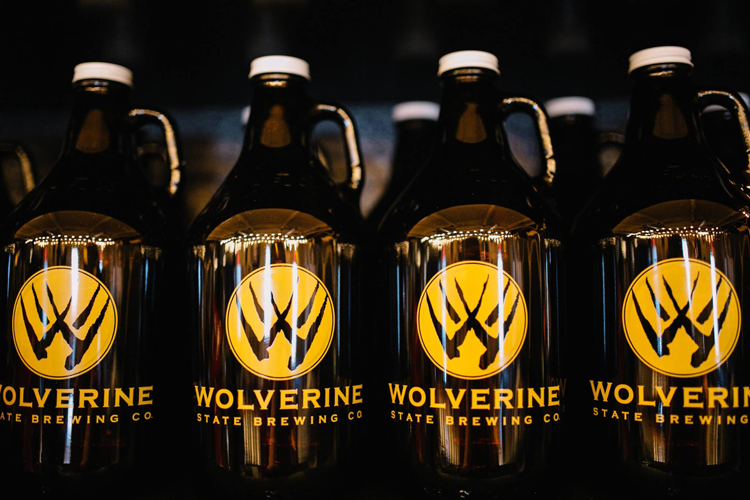 W: Wolverine State Brewing Co.
Photo courtesy of Brit Hueter via Wolverine State Brewing Co.
Wolverine State Brewing Co. snagged their W in the ABCs of Ann Arbor because they represent both our community’s love and passion for the University of Michigan Wolverines (Go Blue!) and our community’s love for craft beer. And this Ann Arbor craft brewery is the first and only all-lager microbrewery in the state of Michigan! That means a visit to the taproom will be an exploration of absolutely everything a lager can do—from their solid, approachable flagship to their innovative, ingredient-driven and aged creations. X-Golf is a franchise and creator of what is called the most innovative and accurate golf simulator in the world. The Ann Arbor location is minutes from the heart of town in Saline and is different from other locations because the team also offers a full bar and restaurant with pizza, mozzarella sticks, chicken tenders and pretzels, craft beer, bar games like shuffleboard and darts, and nine big screen TVs. So you can come for a drink, come to cheer on your favorite football team, play some virtual golf, host your own event or even join X-League! A celebration of Ann Arbor wouldn’t be complete without a feature on its surrounding communities, and Ypsilanti is a great place to start. This community is located on Ann Arbor’s eastern border, has a dense history in automobile production and World War II, and is now home to some of our favorite local museums, businesses, restaurants, events and parks in the area. To explore the community, check out Ypsi Real, a brand managed by Destination Ann Arbor. A hallmark of Ann Arbor’s entrepreneurial character, Zingerman’s Company of Businesses began humbly in 1982 as a small delicatessen in a historic building that was once a neighborhood grocery store. 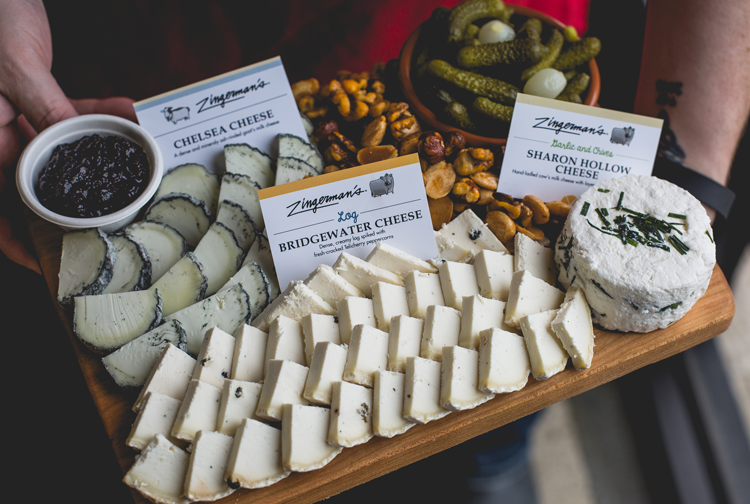 But when founders Paul Saginaw and Ari Weinzweig wanted to expand Zingerman’s Delicatessen, they chose to avoid the typical franchise model in favor of expanding their expertise, their team and their company into new, independent businesses. Now, our community boasts a whole array of businesses—from bakeries and restaurants to training services and wedding venues—operating under the Zingerman’s name. You can learn about all of them in Your Guide to 14 Zingerman’s Businesses in Ann Arbor. Give your favorite Ann Arbor landmarks, businesses and characteristics a shoutout in the comments below!